Bonnie came from the kind folks at Calaveras Humane Society. This little girl was picked up as a stray and it is obvious that she had recently had a litter of puppies. 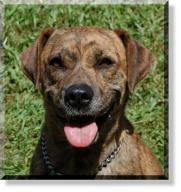 Bonnie looks like she is a cross between a Lab and a Boxer and is about 3 years old. 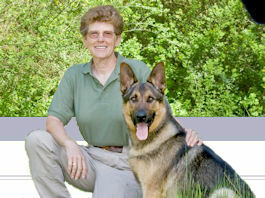 Otis hails form the Amador County Animal Control & Adoption Center. He is a Redbone Coonadore Retriever! He is 2 years old and is an awesome dog. Otis is a real lover boy that just wants to be around people. What a lucky boy our hound doggie Otis is! He is off to his new home right here in Pine Grove with a wonderful family, two other doggy friends, two cats, five fenced acres to run and play on and best yet… he gets to come in the house. Rika (now Sunny) and two of her littermates spent the first years of their lives living in a small kennel and never were a part of a family. They were not socialized or trained and only had each other for comfort. They were finally rescued by the Calaveras County Animal Services and taken to the shelte. 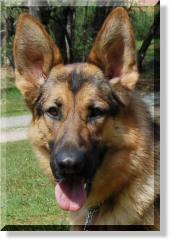 Rika is doing great with her obedience training and has already learned most of the basics. Little Miss Rika has been adopted by a wonderful couple who live on acreage in the Lake Camanche area. She will have a new buddy Miles, who also is a Second Chance graduate. Libby came from the kind folks at Calaveras Humane Society. 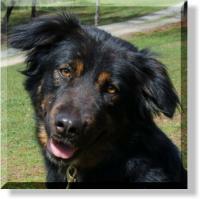 Libby is a young adult Australian Shepherd cross that is just as sweet as can be. She has been working in the group classes and has done quite well. Our beautiful little girl Libby is off to her new home in Calaveras County. She will have 47 acres to romp and play on and a wonderful family to provide her with everything a girl could want in life. 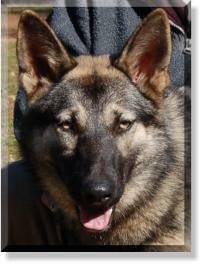 Nakita was in our German Shepherd Rescue program. This poor little (big) girl has been past around several times in her short life. She will be two on July 30th and she has already had three owners. She is AKC registered and her papers come with her if her new owners want to compete in any of the AKC events. She has been working in our group classes on the weekends and is doing quite well. Nakita is off to her forever!! home right here in Amador County. She will be living on property in Volcano with a wonderful couple who will provide her with everything a girl could ask for. Koda came to us from the great people at the Calaveras Humane Society. His original owners lost their home to foreclosure and they could no longer keep him. He has to be one of the nicest German Shepherds we have ever had come through our program. 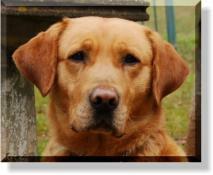 Kodas' handsome looks go along with his wonderful temperament. He is a big boy weighing in at 80 pounds and has perfect conformation. 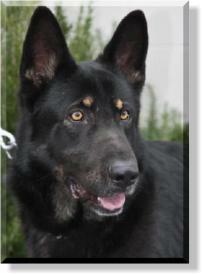 Our big beautiful boy Koda is off to his new home in Plymouth, Ca and what a lucky boy he is! 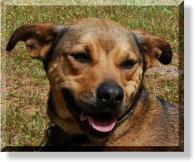 He will have a very loving couple who will provide him with everything he needs, a great home and property to protect. 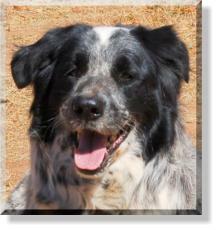 Mr. Gunner hails from the Amador County Animal Control and Adoption Center. He is approximately 6 years old and looks like he is a Lab/Golden Retriever cross. When he first arrived he was a total "Wild Child"!!!!!!!! Obnoxious and rude behavior is an understatement when the shelter staff described him to me. 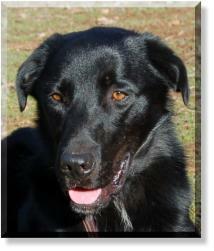 Gunner arrived at the ranch a month ago and today he is off to his new home in Santa Rosa as a totally reformed boy. The changes he made in such a short period of time are amazing. We pulled Hannah from the Stockton City Shelter where she had been picked up as a stray and not reclaimed. She is very underweight but otherwise seems to be a very healthy girl. She looks to be about 18 months old and has a very sweet disposition. Hannah is a real lover and just adores everyone she meets. She is coming along nicely with her obedience training and really enjoys her time out with her trainers. Our beautiful girl Hannah is off to her new home right here in Pine Grove. She will be living with very dear friends of ours and will be living the good life from now on. Tilly came to us from the great folks at the Calaveras Humane Society. She is a very sweet, affectionate and very smart little girl. She is a pure bred LBD (little black dog) Actually, her looks and temperament make us think she is a American Staffordshire Terrier/Border Collie cross. Our little comedian Tilly is off to her new home in Citrus Heights. The best part of this adoption is she now has a wonderful boy to give her all of the love, care and attention that she has been so patiently waiting for. Brickette came to us from the great people at the Amador County Animal Shelter and Adoption Center. 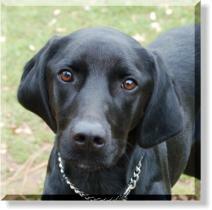 She is 2 years old and is a Plot Hound/Labrador Retriever. She was not doing well at the shelter because she is a little on the shy side and she was just overwhelmed and was not responding well. We knew it wouldn’t take long for Brickette (Bailey) to find her forever home, we just didn’t expect it to happen this soon. She is off to her new home in Citrus Heights and has a great family to love and care for her..
Shelo is our first German Shepherd to be adopted through our new German Shepherd Rescue Program. Shelo came to us from the Stockton city shelter where she had been picked up as a stray. Nobody claimed her and what a total "wild child" this dog was! As wild as she was, she seems to be very smart and willing to please her trainers. We could not have hoped for a more perfect home for Shelo. She has a totally fenced acre+ to romp and play on, two young children to love and protect, and stay at home parents to provide her with all that a girl could ask for. 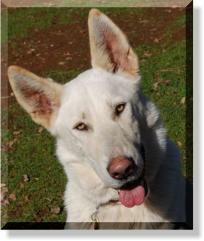 Reno came to us from the Amador County Animal Control & Adoption Center. The poor boy had been at the shelter for several months and was going crazy! 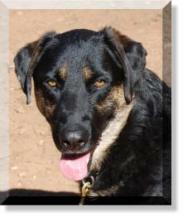 Reno is a very high energy 1 to 1 1/2 year old Lab/Border Collie cross with possibly a little Shepherd mixed in as well. What a lucky boy Reno is… He is off to his new home in Pine Grove and will be living with a wonderful couple who will provide him with every thing a dog could ask for. Be a good boy Reno and be sure to stop by when you are cruising the neighborhood. Rodney arrived from the Amador County Animal Shelter & Adoption Center. 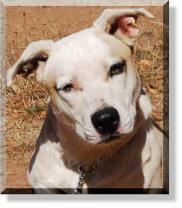 Rodney is a young, maybe 8 month old Dalmation mix that is just full of personality. This little guy has to be one of the sweetest dogs we have had come through our program in a long time. Rodney is off to his new home just over the hill from Twin Cedar K9. He has acreage to play on and a very active owner to take care of him. Rodney will be living a very active lifestyle, camping, running and going to the lake. What a lucky boy! Mira arrived today from the wonderful people at the Calaveras Humane Society. 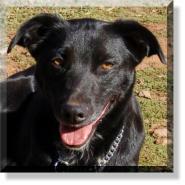 She is a very sweet, affectionate and loving adult Lab/Border Collie mix. They do not come any nicer that this little girl. Mira's Christmas wish has come true. She is off to her new home and family who live in Ione. She will have to young children to love and play with her, a nice big fenced back yard and a beautiful home to come and go as she pleases. 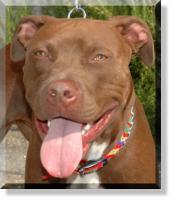 Luna was surrendered to the Second Chance Program because her owner was not able to care for her any more. She is a 8 month old German Shepherd mix that needs lots of room to run and play which her previous owner could not provide for her. She is very sweet and friendly, gets along well with all of our dogs here at the ranch and loves all the people she meets. Our beautiful girl Luna is off to her new home in Elk Grove. She will have a her very own 14 year old young man to romp and play with plus a huge yard to call her own. Luna will be coming back for our group classes on the weekends so we will be able to watch her grow up. 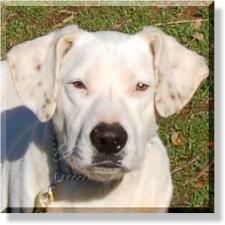 We believe Champ is a Dogo Argentino which is a farely rare breed from Argentina. Here is what the Rare Breed Atlas has to say about the Dogo Argentino. 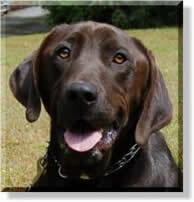 Champ is 3 years old and has a very sweet temperament. He would love to be a lap dog but at his size… 118 pounds! Yes he is on a diet! Sitting on laps is not an option. Today is Champs lucky day! His new owner drove all the way up from Southern California to meet him and of course, he fell in love with him. The love went both ways! Mabel hails from the great people at the Calaveras Humane Society and boy is she one sweet little girl. Her breeding is pretty much a mystery abut we are guessing she may have some Beagle and Basenji in her. We named her Mabel because of her Mabeline eyes. Friday the 13th may be a bad day for some but not for our girl Mabel! It is the best day of Mabel's life. She is off to her new home in Angels Camp where she will be a member of a very loving family. Sadie has been in foster care with Calaveras Humane Society since April. She looks like she may be a cross between a German Shepherd and a Greyhound which probably is not too common. She is a very sweet girl that is approximately 2 years old. She has very nice obedience and is very social. Sadie is off to her new home to spend the rest of her life as a loved and cherished member of her new family. Good luck Sadie and promise to be a good girl. 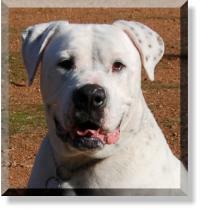 Our big and beautiful boy Maximus hails from the Amador County Animal Control and Adoption Center. Max is 6 years old and looks like he is an Australian Shepherd, Border Collie cross with something else that is big mixed in. Oct. 4th, 2009, Maximus passed the AKC, CGC (Canine Good Citizen) test with flying colors. Way to go Maximus! Our wonderful boy Maximus is off to his new home in Roseville to be a loving companion for a very special person. He even has a new little buddy (he isn't quite sure what she is…) but likes her anyway, and a huge yard to protect. We are sure that he will be spoiled rotten. Spencer is one handsome fellow. At one year old, he weighs 58 lbs. and scored very high on his evaluation. He was an absolute love bug during his evaluation. He was quick to warm up to people, and was very mellow when handled. He has a very soft and gentle mouth when taking treats. Spencer is off to his new home. He is back where he started his life, back with the person who had him as a puppy. Good luck Spencer and maybe you will figure out you have a good thing going and you will stay home this time. Lady's previous owner is an elderly man who developed some health problems and he can no longer care for her properly. 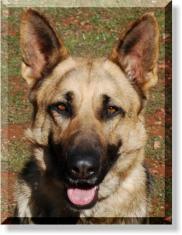 His family is sponsoring Lady so she can find a new forever home. 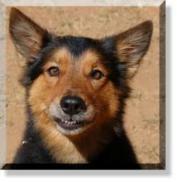 Lady is 6 years old and is an Australian Shepherd/ German Shepherd cross. She does not act her age at all! She loves to play ball and chew her favorite green squeaky toy. A very dear friend and client came out to meet Charlie and Lady. The greatest thing happened, Marilyn fell in love with both dogs and couldn't see them being separated from each other so she adopted both!!! 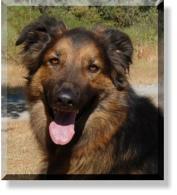 Charlie is a 4 year old German Shepherd & possibly Collie mix. He came to us from one of our clients who is battling a very serious illness and is unable to take care of this wonderful boy. Charlie is a real lover boy who knows most of his basic obedience (needs a refresher course) and is good with all people and other dogs. A very dear friend and client came out to meet Charlie and Lady. The greatest thing happened, Marilyn fell in love with both dogs and couldn't see them being separated from each other so she adopted both!!!! 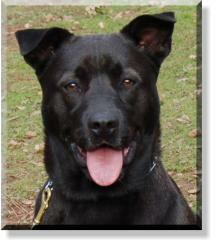 Buddy aka "Bozo" comes to us from the kind folks at the Amador County Animal Control and Adoption Center. If you want to meet a big clown, Bozo is your boy. 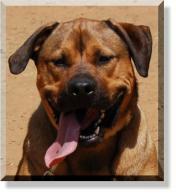 He is an American Bulldog/Rottweiler cross and was born on Nov. 11th, 2007 which makes him 1 yr 9 months old. Buddy is off to his new home in Calaveras County where he will be a very spoiled "big" boy. We will miss this big goofy dog!